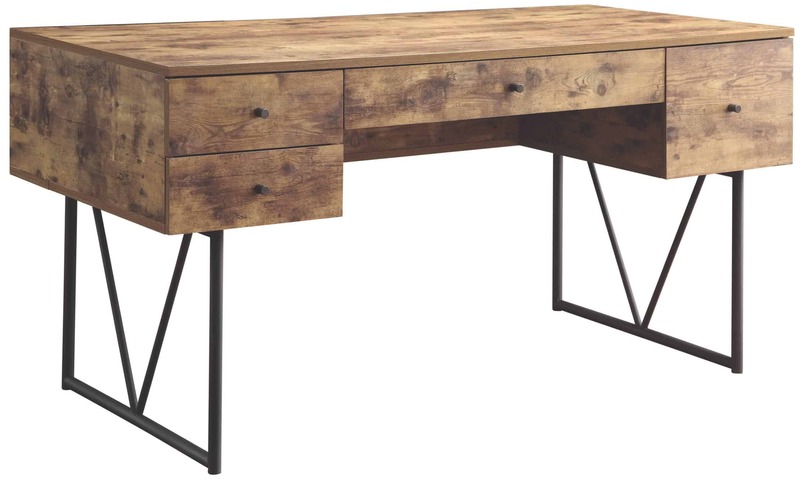 Industrial style writing desk in grey driftwood metal base finished in black. 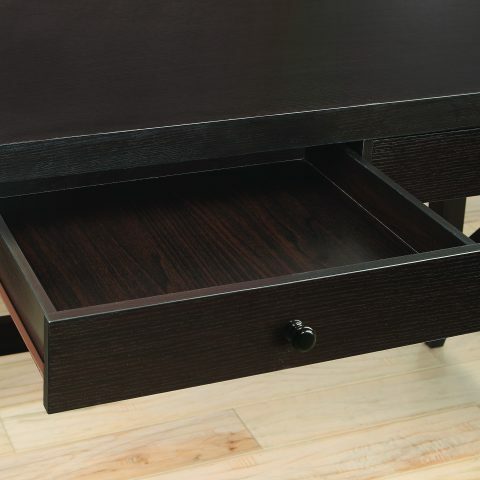 Desk features four drawers and an open shelf on the opposing side. 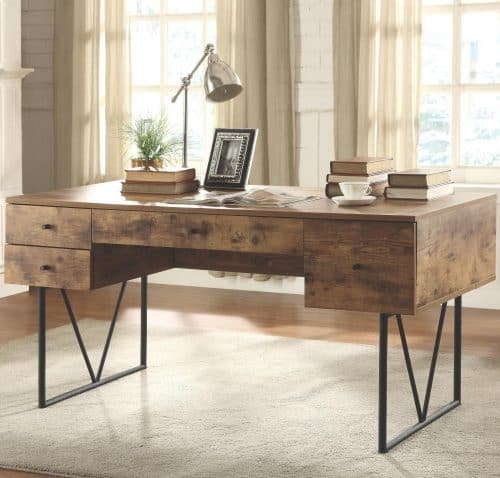 This contemporary ladder-shaped writing desk coming in a cappuccino finish is the perfect decor piece to stand out in your living room featuring bookshelves and a storage drawer with euro-glides for smooth opening and closing. This contemporary Writing desk coming in a cappuccino finish is the perfect decor piece to stand out in your living room featuring two drawers with euro-glides for smooth opening and closing. 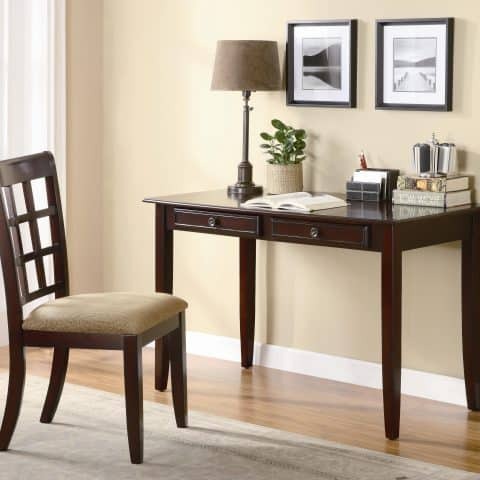 Two piece desk set finished in dark amber desk features two drawers matching chair with tan fabric upholstered cushion.